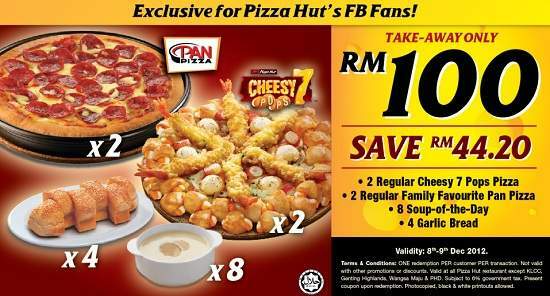 Redemption location : All Pizza Hut restaurant except KLCC, Genting Highlands, Wangsa Maju & PHD. ONE redemption PER customer PER transaction. Subject to 6% government tax. Present coupon upon redemption. Photocopied, black & white printouts allowed.